"Brooklyn said, 'Yay!' 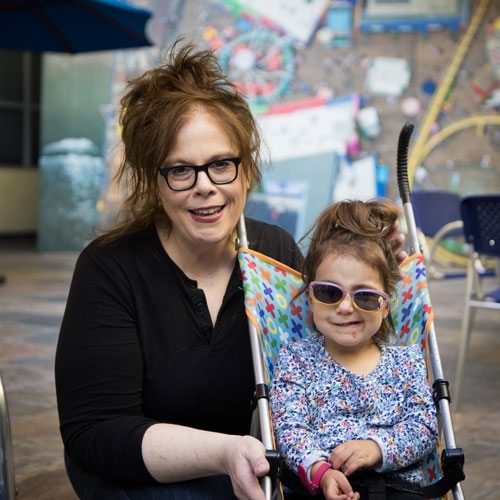 when I told her we were going to see the doctor because her throat was sore," says Portland Watson, mother to 2-year-old Brooklyn, who brought her daughters to UCLA Health Santa Monica Pediatrics. "I love the doctors here. They're really great with my overreacting about my kids, which I think is very common for most moms. If I have questions or concerns, the doctors follow up within 24 hours. My 8-year-old got sick last week, so we were here earlier this week and now she's passed all of those ailments to her 2-year-old sister. My kids love coming to the doctor's office, believe it or not. Even to get a shot. It's nothing short of amazing. I love this facility and the doctors here."